Bath bombs make a great homemade gift. If you want to know how to make bath bombs, read our guide below. How to make homemade bath bombs for gifts. 1. Mix the citric acid and baking sode in a dry large bowl. Mix these very well. (with 1 part 2 part that means for every 1 cup of citric acid you need 2 cups of baking soda. 2. Once it is blended very well carefully add your coloring (dry coloring works best, make sure that you use a bath friendly pigment as some can stain bath tubs). Don’t add too much, you just want to add a little bit of color to your bath bomb. Mix in well. 3. Add fragrance oil. Mix in well. 4. The hardest part is adding the witch hazel. Spritz the witch hazel onto the batch while stirring with the other hand. Do this a little bit at a time Dapoxetine (too much and you can set off the entire batch, but if you do it too slow it can get hard). Keep adding the witch hazel until the mixture sticks together when you press it in the palm of your hand. 5. If you have molds, press the bombs into the molds and wait a few minutes to tap them out. Let them air dry for three to four hours. You can also press them into balls in the palm of your hands and lay them out on wax paper to dry. 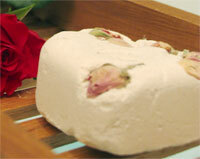 You can also add dried flower petals and other ingredients to spruce up your bath bombs. 6. Once the bombs are dried you can place a few in plastic sandwich bag and tie with ribbon or festive yarn.